Citizens of Bosnia and Herzegovina participated in general elections on 13 October 2014. 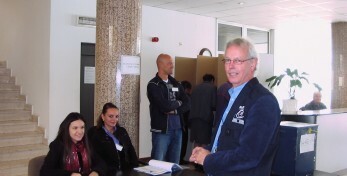 The elections observation mission of PACE was headed by Tiny Kox. UEL was also represented in the mission by Nikolaj Villumsen, Denmark. The elections showed an ever growing mistrust in the functioning of democratic institutions, the mission concluded. This endangers the country’s stability, said Mr. Kox at a press conference in Sarajevo.